Traumatic brain injuries affect more than 1 million people a year, according to the Centers for Disease Control and Prevention. Although these injuries occur frequently, many people, from victims to friends and family, do not fully understand them. At TryMunity, we often hear the following brain injuries myths and misconceptions. 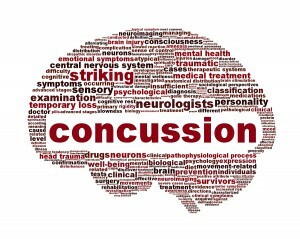 Many people believe that a mild TBI, or concussion, cannot have lingering effects. Similarly, many believe that if consciousness is not lost, a head injury is not serious. However, according to the CDC, mild blows or bumps can cause mild TBIs, as can sudden impacts that jar the body. These injuries are termed “mild” because they are not potentially lethal. However, they can still have effects on cognitive ability, emotions and sleep patterns. Another of the most pervasive brain injuries myths is that symptoms manifest quickly and simple tests can confirm the injury. Research has shown that some injuries may be detected by MRIs but missed by CT scans, and vice versa; both tests may miss some injuries entirely. However, this does not mean the injuries have no impact. Even mild TBIs can cause issues with attention, reasoning, memory, and moods. No two brain injuries are identical, and neither are the outcomes for victims. Overcoming common brain injuries myths to understand and live with TBI can be challenging, which is why TryMunity is dedicated to providing helpful, accurate TBI information. If you or any loved ones are dealing with a TBI, please join our online community to find support and advice from other survivors.